I've had a busy day now I'm too tired to move. I am bored. 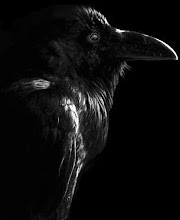 No movement + boredom gives birth to a new installment in Nevermore...The List! What else is the ninnernet for other than cats. Here I present to you the top seven cat videos. Ever. Thou shalt not argue. Kitteh 7 - More like kittehs. Kitteh 5 - Short and sweet. Kitteh 3 - MRRRRRROOOWWWoooooowwwwOOOOOWWWWoooowwwwOOOWWWooowwwOOOWWWooowww. Shame it's a fake. Kitteh 2 - Don't try to eat the breakdancer. Just don't.